About Eagle Eye Painting L.L.C. Eagle Eye Painting L.L.C. was founded on April 25, 2011, by Charles Murray III. 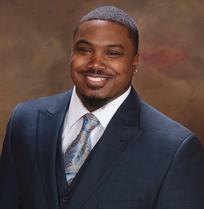 Charles Murray III is a native Clevander with over 16 years of experience in the painting industry. Eagle Eye Painting was founded on the premise that quality painting and attention to detail is a must. The vision of Eagle Eye Painting is to provide quality painting services, excellent customer service, and ensure that customers are satisfied. With a specialization in interior and exterior painting, Eagle Eye Painting is one of the premier minority-owned painting businesses serving clients throughout the United States. Since the company's inception in 2011, all customers have been and will continue to be treated with the utmost respect and service they deserve. Other companies may offer similar services, but my services are the BEST, and come with a personal touch. Remember....Don't expect the unexpected...expect the BEST!